Happy Birthday Public Radio Tulsa! 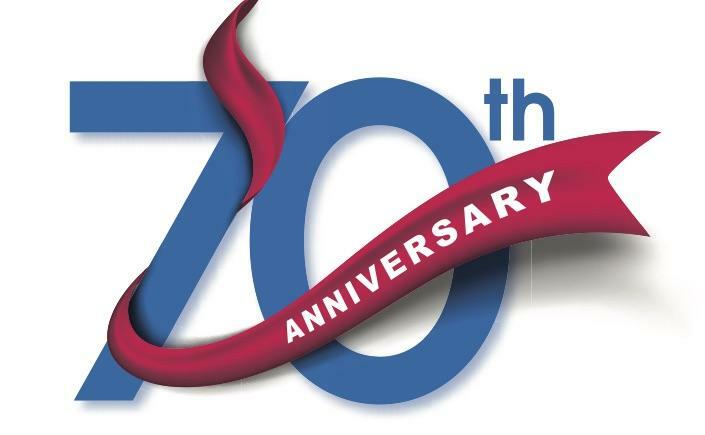 Today marks 70 years of Public Radio Tulsa! On October 19, 1947 KWGS hit the airwaves as one of the first FM stations in Oklahoma. We since have evolved into the stations you love today: KWGS Public Radio 89.5 and KWTU Classical 88.7. You can tune in 24/7 - 365 days a year to hear great journalism and unforgettable music. We recently celebrated with two special events on September 30, 2017. 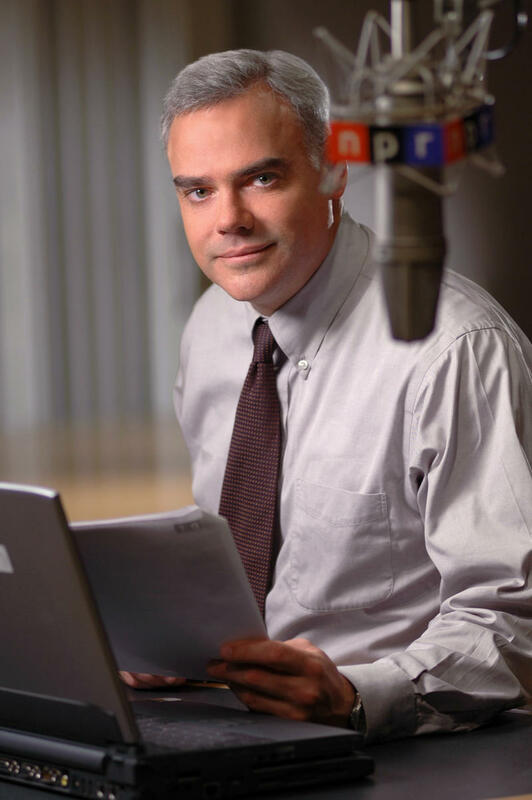 Scott Horsley, NPR’s White House Correspondent, was our honorary guest. You can see photos from The Give and Take with Scott Horsley at the Circle Cinema HERE. You also hear some of the audio from the event HERE. And that evening we celebrated 70 years with An Evening with Scott Horsley at Gilcrease Museum. You can view photos from the evening HERE. Thanks to all of you who joined us at one or both events, asked insightful questions and celebrated with us! 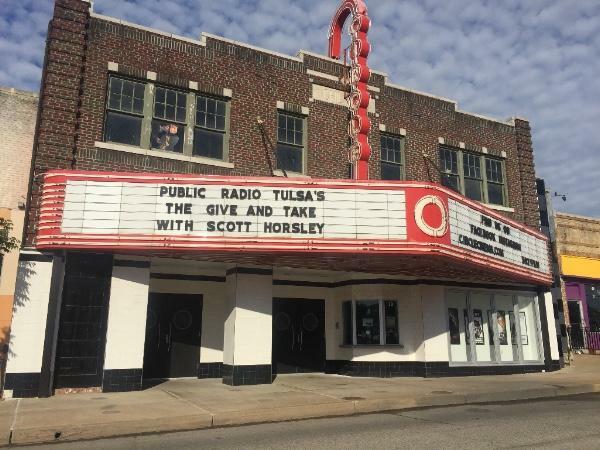 Most of all, thank you for your continued support of Public Radio Tulsa! Special thanks to our event hosts: Circle Cinema and Gilcrease Museum; Public Radio Tulsa event volunteers and staff; Frank Christel; P. Casey Morgan; Brookside Blooms; and our table sponsors: Anonymous – In Honor of Mr. Colin Manning and Bishop Kelley Brother Bernardine Scholars, Coretz Family Foundation, Books I Have Eaten Book Club, Sarah and John Graves, M. Susan Savage, and The University of Oklahoma – Tulsa. Here's to 70 years and beyond! Building a 70-Year Legacy Audio Remembrance originally aired at the 70th Anniversary Dinner on September 30, 2017 at Gilcrease Museum. Public Radio Tulsa Fun Facts What were the first words heard on-air over KWGS? “How does this damn thing work?” uttered by Bill Rook, the station’s chief engineer. During the summer in the 1970s, what was heard over KWGS? Nothing. The station went off-the-air every summer because there were no student announcers. KWGS returned to the air each October. KWTU Classical 88.7, signed on the air in what year? KWTU's sign-on October 15, 2004 celebrated the return of classical music to the Tulsa airwaves and owes a debt of gratitude to John K. Major, owner of Tulsa's first commercial classical music station. KWTU is the first station in Oklahoma to broadcast in digital HD Radio. We are officially SOLD OUT! Thank you to everyone attending. We look forward to seeing you on September 30! 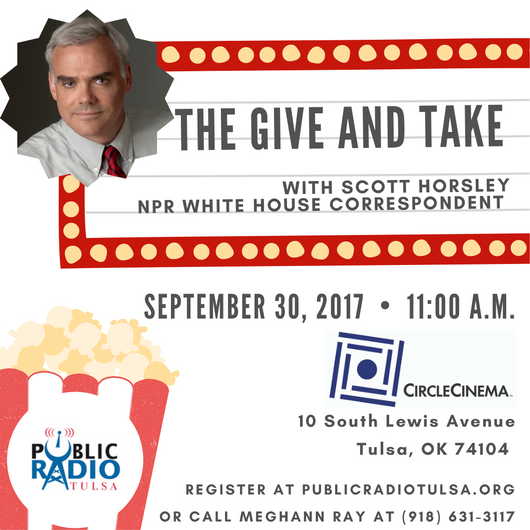 If you would still like the opportunity to see Scott Horsley live, please join us at The Give and Take! The event series you loved last season is back! 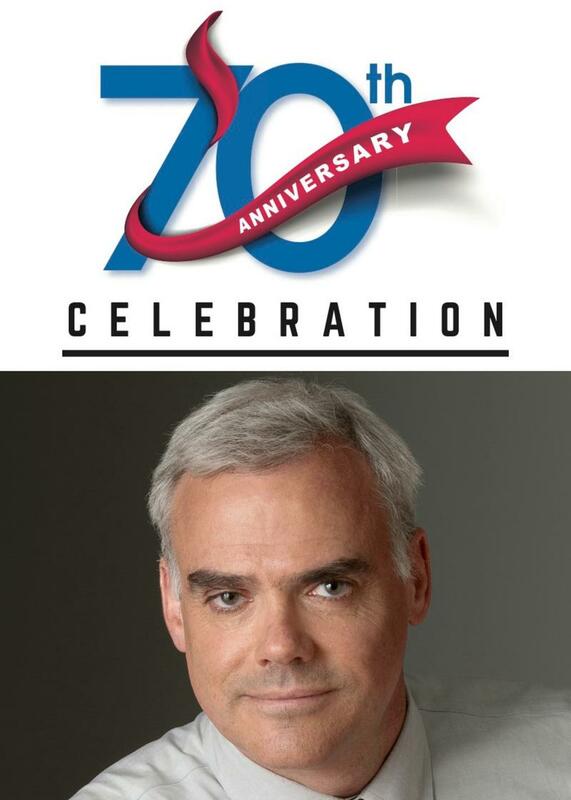 And we are kicking off the 2017/2018 season of The Give and Take with Scott Horsley, NPR White House Correspondent, in honor of our 70th Anniversary.